We normally meet in local house churches on the third Sunday of each month, and at the church on the other Sundays. The dates are flexible and might change due to holidays, etc. These smaller, local meetings are places of greater intimacy where we are encouraged and strengthened. Our house church meetings allow for the inflow and outflow of Holy Spirit. Every meeting has its own unique "personality". We don't follow a rigid pattern or agenda, but instead allow Holy Spirit to lead the meetings. Typically, these house church meetings include worship, praise, sharing/teaching, encouragement, prayer, and ministry to one another. At the end of the meeting we usually share communion, break bread together (light meal) and fellowship with one another. Every meeting is different and special. Each is vital for the building up of the body. 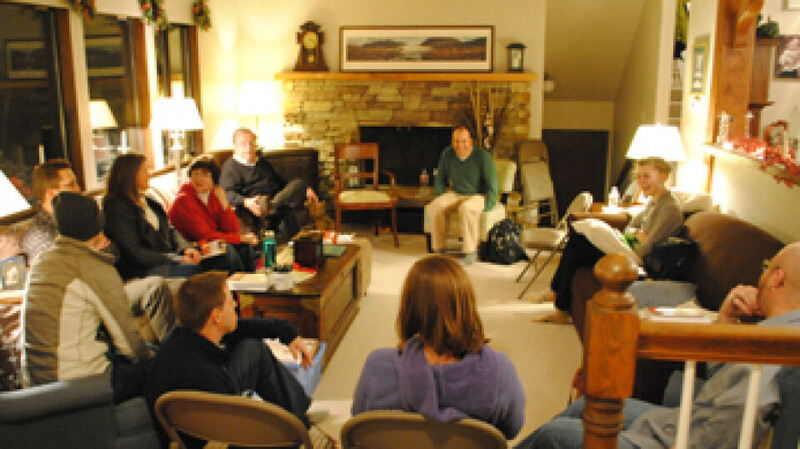 We have house churches locations in Cheshire, Naugatuck, Wethersfield and Woodbury. A list of the addresses and contact info is available in the church foyer. Or you may call the church office at 203-272-7976.